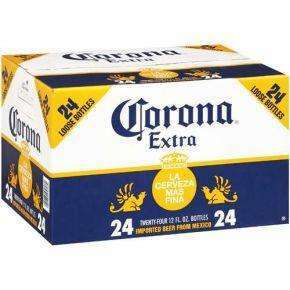 Labelled as Coronita, which is just different-sized bottles of Corona. Marked up at 49p a bottle, or £10 for a full 24-bottle crate plus another loose bottle thrown in for good measure. Must be hot, right? Saw this at the Chester-le-Street store, could have some in other stores around the North-East. Not sure if B&M do nationwide deals, though. Will try and get a photo tomorrow morning. *edit* Apologies, didn't notice they were slightly smaller bottles. Still worth a look at the price though, equivalent amount of Corona from Tesco would be £16. got 20 of these earlier for 8 quid, bargain ! Hot if available as it is 39p a bottle in home bargains. I have bought 20 in 1 and 22 in another but all stores seem very low in stock. How do you get 20 for £8? that makes it 40p a bottle? Not even half a pint.Need nearly 3 of these to fill a pint glass.These wee bottles should be banned. Lime isn't needed unless you need to keep flies away! Excellent price same as Home Bargains offer. Although only 210ml, still cheaper when buying 2x 210ml bottles compared to buying 330ml Bottles at likes of Tesco and Asda. ...is how I like to drink these. I bought a case of 24 from B&M in Cwmbran yesterday- they are only 39p a bottle there and they had a stack of cases on display. No separate case price, so 24 were £9.36. Bargain. So if señor is a man is señorita a small man ? None in my Blackwood store. Heat added. Do the math!!! Most bottled lager (premium) is 275ml a bottle and quite often you can get 20 bottles for £10 (Becks for example) maybe not Corona at this price but normal size bottles of corona are 330ml. So 20 x 275ml is 5500ml in total and 25 x 210ml is only 5250ml - Everything getting smaller is just conning people into thinking it's a better deal. 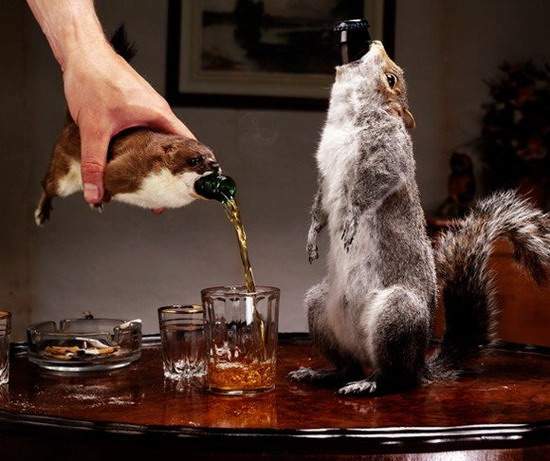 The best possible use for these baby beer bottles.....stuffing up a squirrels bum! Went and got some. Picked up 6. Went through the checkout at 5 for £2 and then 49p for the extra one. So I said I would go and get 4 more. Ended up getting a refund for 6x49p (they knew that was wrong but decided they couldn't do it any other way). Then £4 for 10 bottles. So ended up being 3.55 for 10 bottles! Forgot to get lime though - I like it with lime. Hot. perfect meal size beers! Deal posting newbie! This is philcsf first deal post. Help out by leaving a posting tip or just to show your appreciation for their contribution.